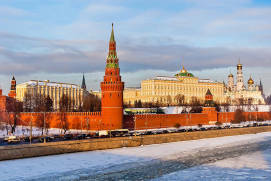 For many centuries, the 81-meter-high Ivan the Great Bell Towerwas Moscow’s tallest landmark. 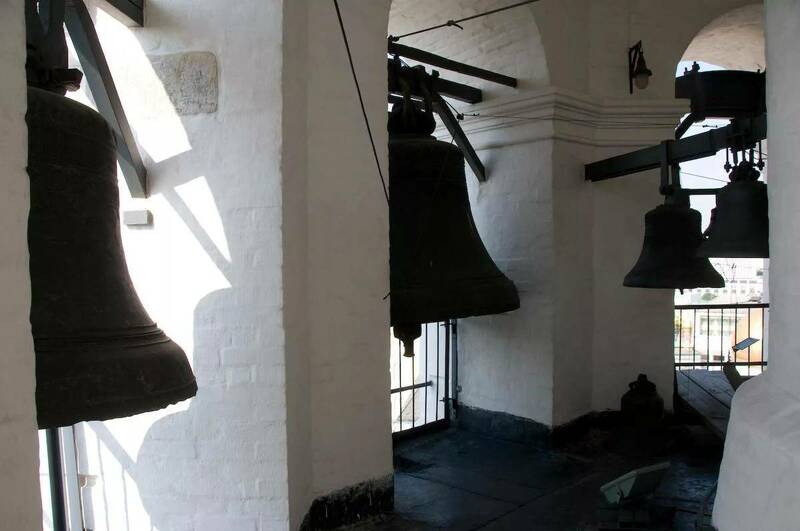 Have a look at the belfry with 22 bells, the oldest one dating back to 1501 and the largest one weighing 64 tons. 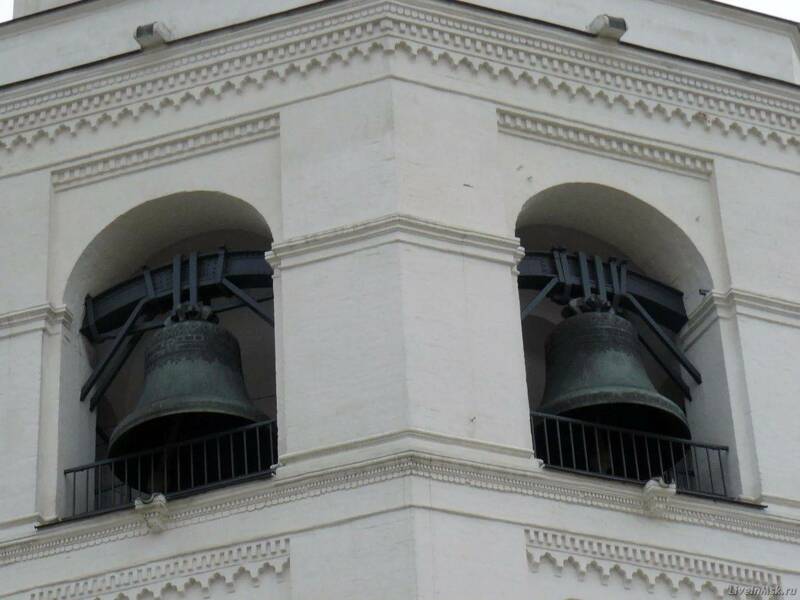 Bellringing is worth listening, especially on Easter and other Orthodox holidays. 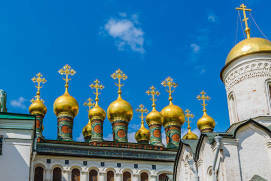 The bell tower is also a museum displaying the surviving original stone décor and sculpturesfrom the Kremlin’s palaces. 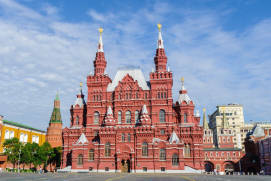 Situated in the Kremlin’s Cathedral SquareRussian: Sobornaya ploshchad or Соборная площадь, Ivan the Great Bell TowerRussian: kolokolnya Ivana Velikogo or колокольня Ивана Великого has remained the tallest landmark in Moscow for many centuries. 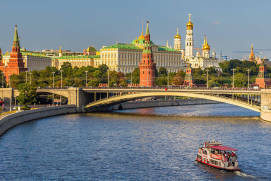 Its slender silhouette is the first thing that catches the eye when admiring the panoramic view of the Kremlin – one of the most famous attractions in Moscow. 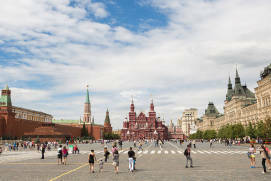 The Bell Tower took its definite shape in the early 17th century during the reign of Boris Godunovwas elected tsar of Muscovy (reigning 1598–1605) after the extinction of the Rurik dynasty, when it reached a height of 81 metres and became the main bell tower of the Cathedral Square church. 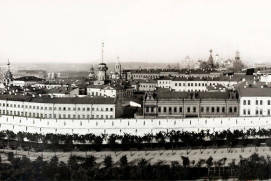 For a long time after that, it remained the tallest building in Moscow- indeed, all of Russia. 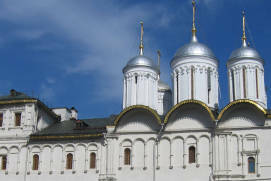 Ivan the Great Bell Tower and the belfry feature 22 bells. 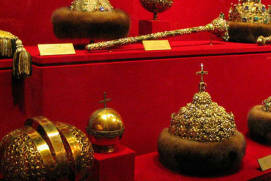 The oldest of these, MedvedRussian: Медведь (Bear), dates back to 1501. 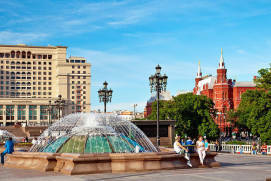 In summertime, you can go up to the observation gallery at an elevation of 25 metres, or have a look at the bells and visit the museum exhibition devoted to the history of the Kremlin’s architecture. 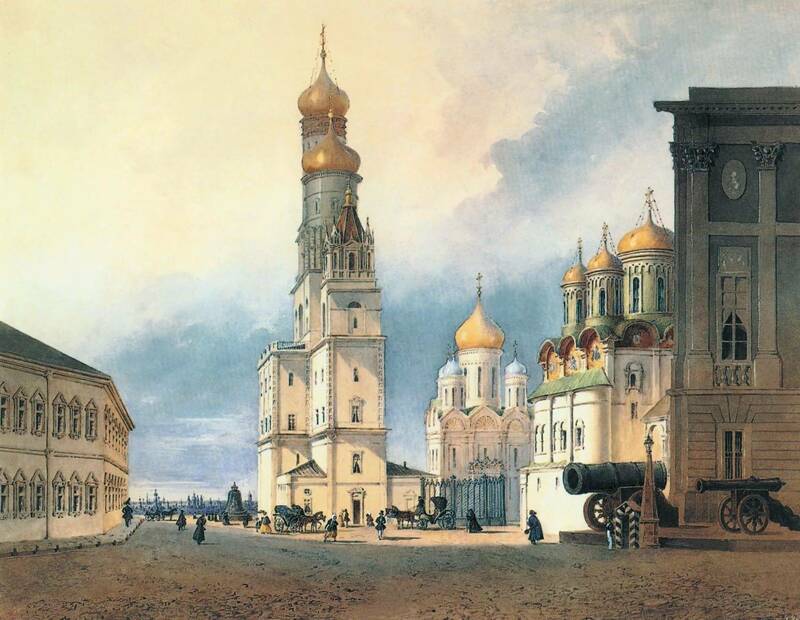 The bell tower’s belfry serves as an exhibition venue, with different exhibitions appearing regularly, representing different countries and epochs. 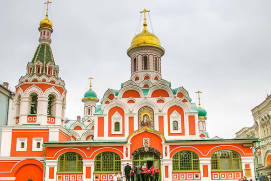 The bell tower was intended to be the Сhurch of Saint Ioann LestvichnikRussian: tserkov Ioanna Lestvichnika or церковь Иоанна Лествичника, built in 1508 and consecrated to the saint patron of Tsar Ivan IIIknown as the #gatherer of the Rus' lands#, he ruled from 1462 until 1505, hence its name. 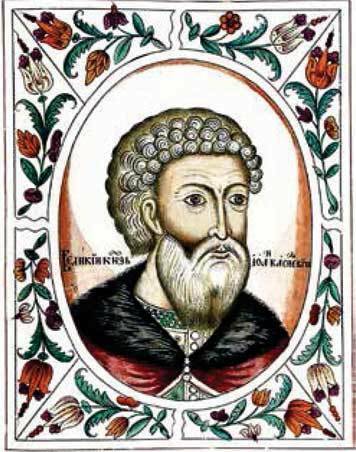 Saint Ioann Lestvichnik (6th century A.D) is known as the author of Lestvitsa rayskayaRussian: Лествица райская, a treaty on spiritual purification and the soul’s ascension to God. 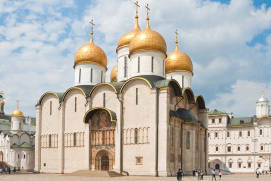 The Italian architect Bon Fryazin preserved the basic concept of the original 14th-century church and designed a new stone bell tower with sufficient space for services. 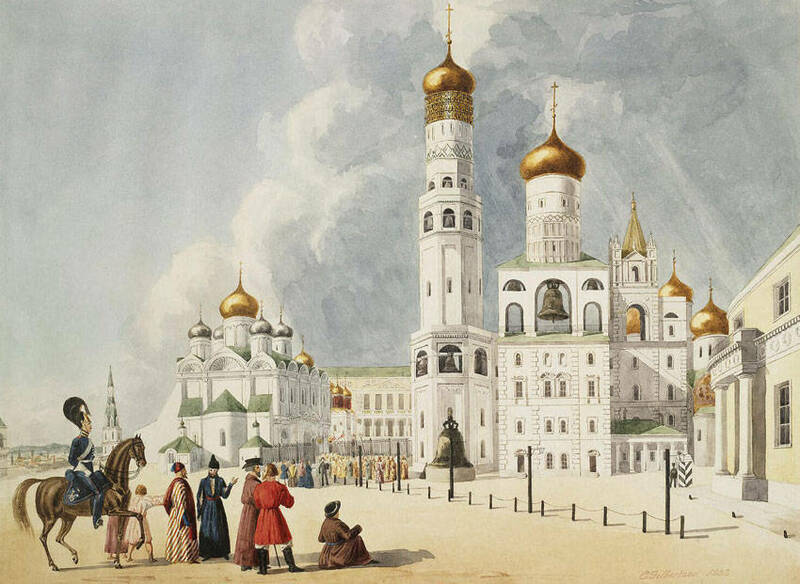 Bon Fryazin was well versed in erecting tower-like buildings, because campaniles (detached belfries) were scattered throughout Italy in the Middle Ages. 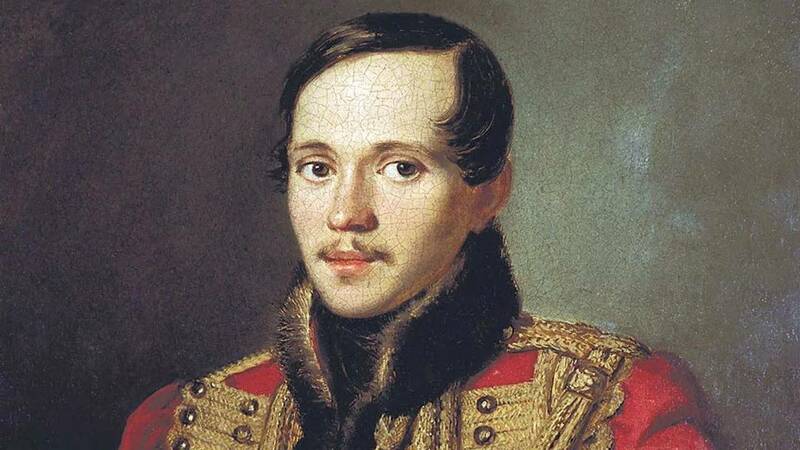 Between 1532 and 1543, another Italian architect named Petrok Maly built a belfry for the Bell Tower. 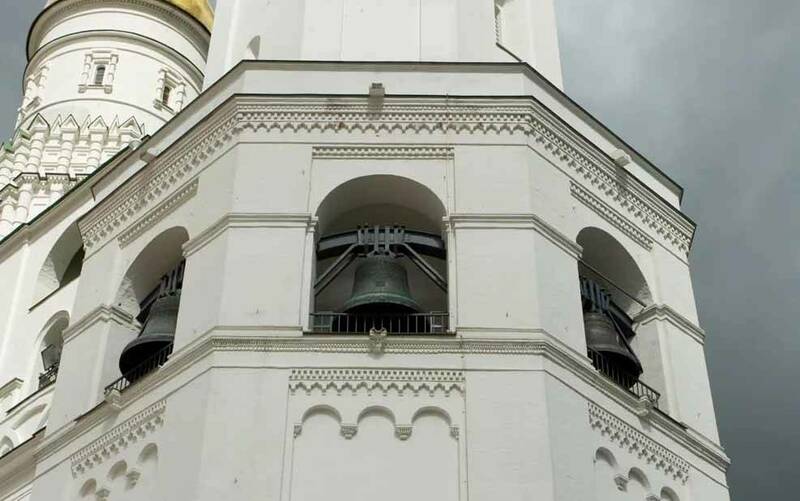 Today, the belfry has the largest bell in Moscow, the 64-ton Uspensky bellRussian: Uspenskiy kolokol or Успенский колокол. 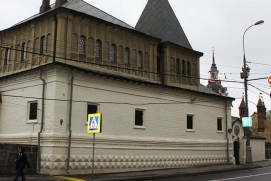 In the 17th century, an annex named after Patriarch FilbertRussian: Filaretovskaya pristroyka or Филаретовская пристройка was added. This annex is a particularly fine example of 17th century architecture. 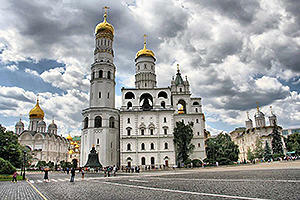 n 1600, a Russian architect named Fyodor Kon completed the architectural structure by adding height to the bell tower. It is remarkable that he managed to do this without interfering with Fryazin’s concept of design. 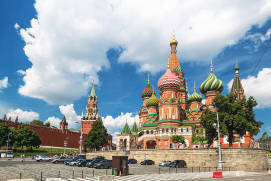 The commissioner, Tsar Boris Godunov, decided to embellish the Kremlin in order to perpetuate his own name. 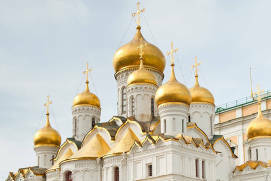 And so he did, quite literally – he had an inscription put right under the dome saying: ‘By the grace of the Holy Trinity and on the orders of Tsar and Grand Prince Boris Fyodorovich, autocrat of all Russia and his son Faithful Tsarevich Prince Fyodor Borisovich of all Russia, this church was built and gilded in the second year of their reign’. 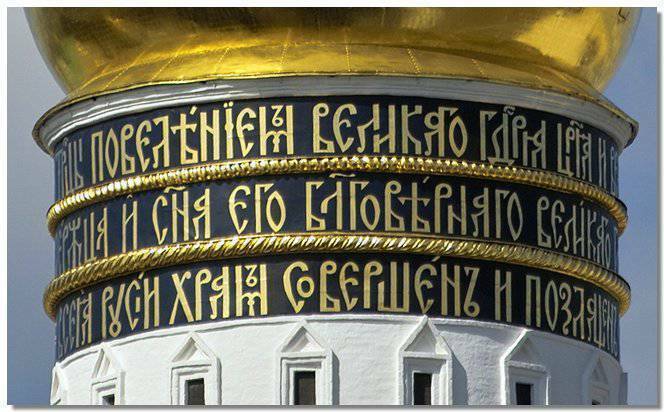 This is a unique example of how an inscription became an integral part of architecture. 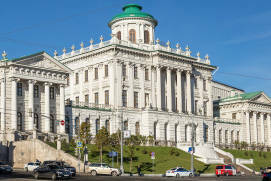 The building turned out to be quite slender-looking with its elongated octagonal drums narrowing towards the top, made visually lighter by means of arched openings at the level of the bell chambers. 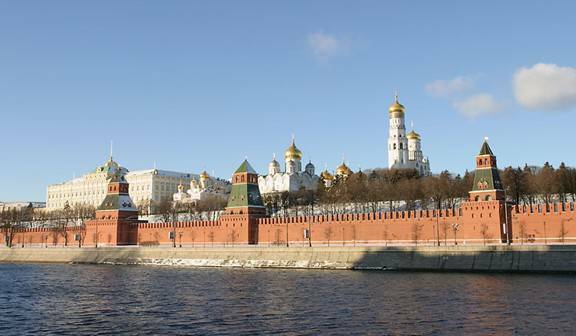 The three-tiered bell tower’s walls are up to 5 metres thick. 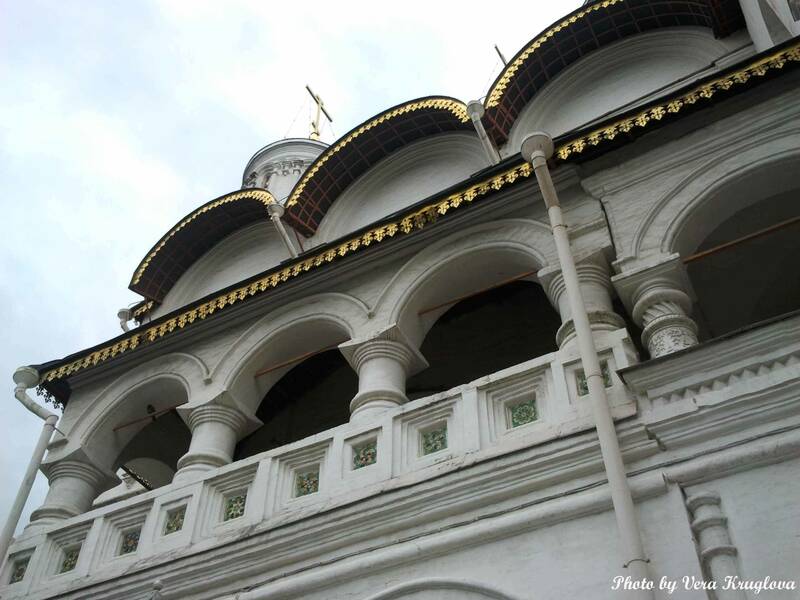 The upper tier merges into the round drum decorated with a belt of beautiful kokoshniksa traditional Russian headdress worn by women and girls, featuring blind windows in the form of niches. 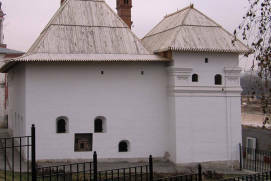 The structure stands on a white stone foundation resting on numerous wooden piles. The Tower extends down to 6 meters underground. The Ivan the Great Bell Tower has long remained Moscow’s tallest building. 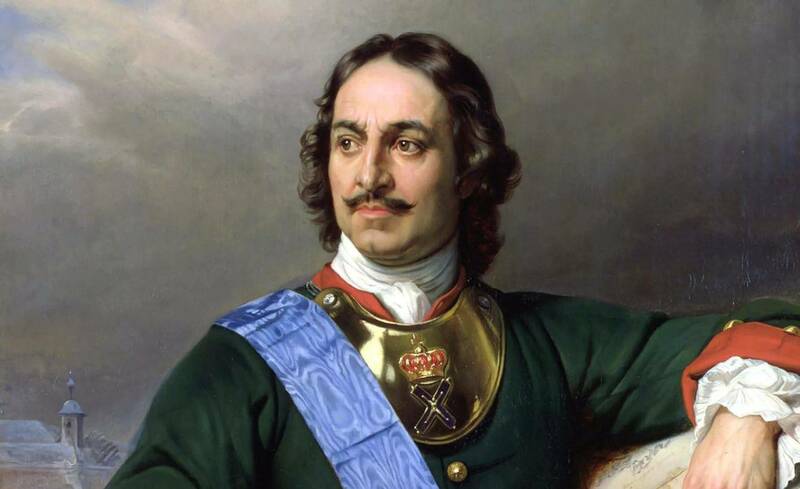 When Alexander Menshikov, Peter the Greatruled from 1682 until 1725’s closest associate, commissioned an 84.4-metre-tall Church of St. Gabriel the ArchangelRussian: tserkov Arkhangela Gavriila or церковь Архангела Гавриила (surpassing Ivan the Great by more than 3 metres), this caused a lot of discontent among Muscovites. 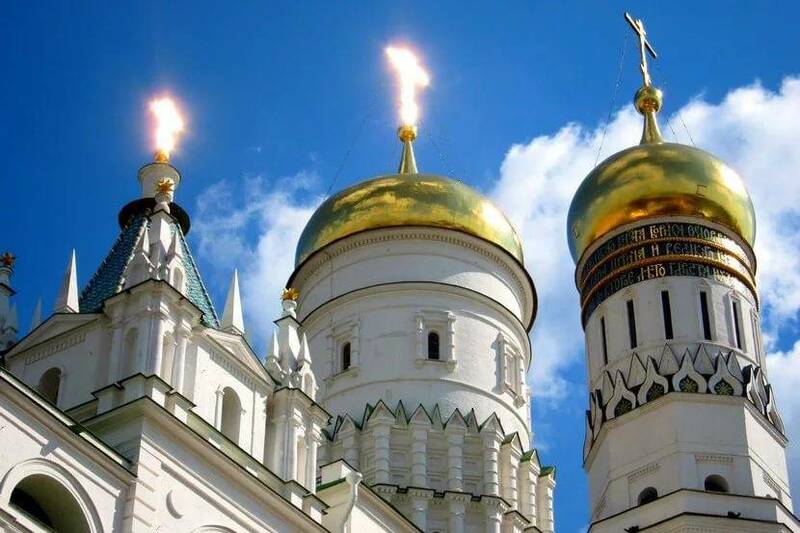 Therefore, when that church, also known as Menshikov TowerRussian: Menshikova bashnya or Меньшикова башня, was struck by lightning which burned its upper wooden structure, everyone saw it as God’s punishment for questioning the authority of the Kremlin’s shrine. 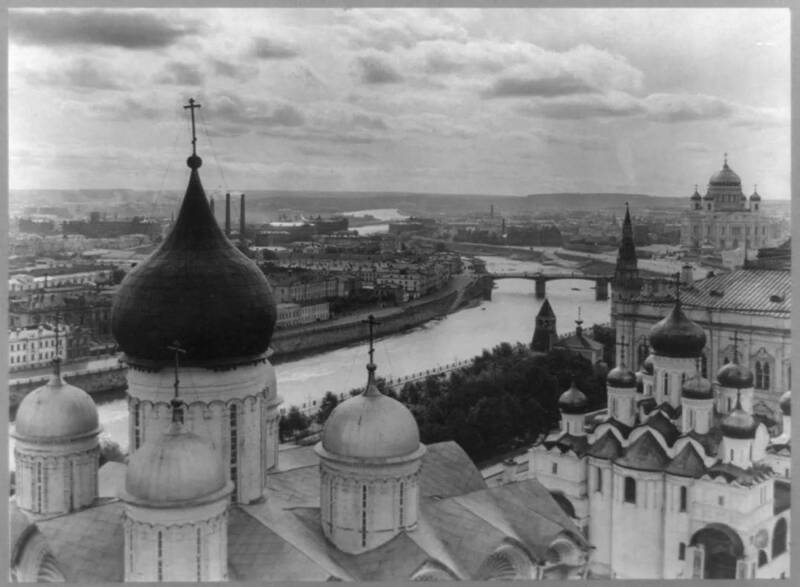 The bell tower still boasts a lovely view of the historic centre of Moscow. 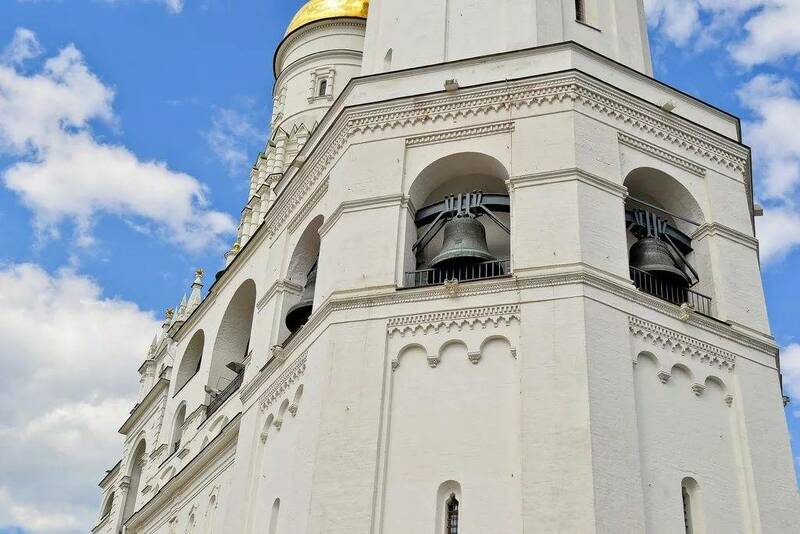 In previous centuries, when buildings were smaller and more numerous here, the top of the bell tower, accessible by walking up its 429 steps, provided a view of up to 30 km away. 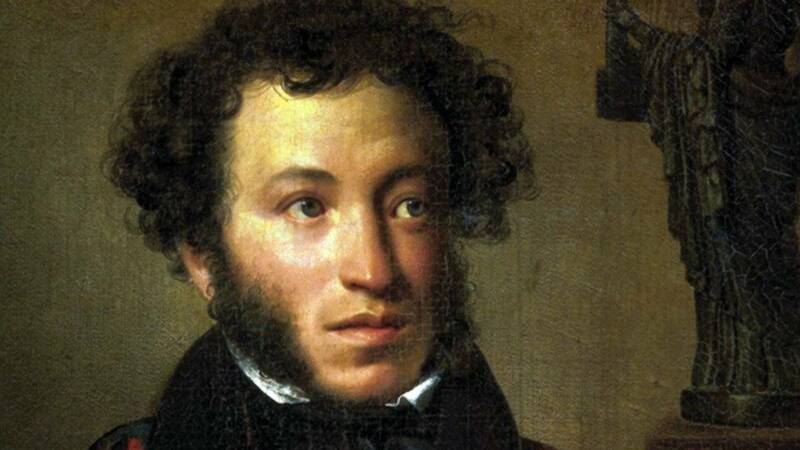 Russian poets Alexander Pushkin and Mikhail Lermontov are known to have gone up the bell tower. 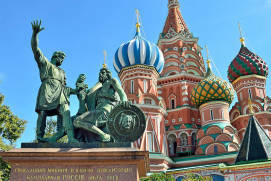 Aside from its defensive significance from a military perspective, the Ivan the Great Bell Tower has always been Moscow’s main belfry. 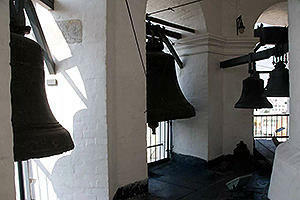 It is here that the first strike of the bell signaled the start of bell-ringing throughout Moscow on Orthodox holidays. 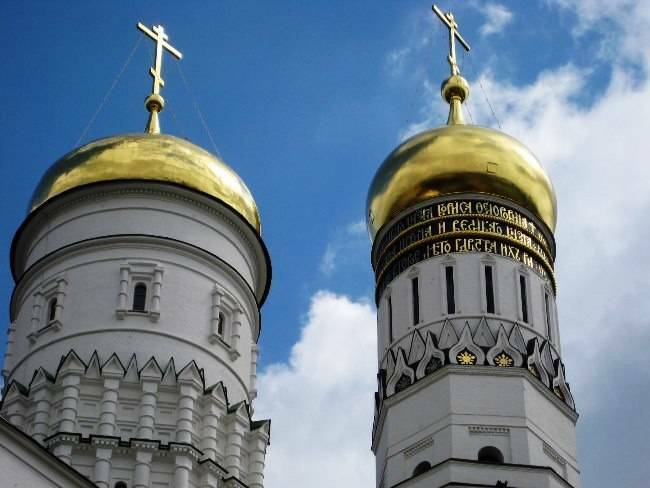 This tradition resumed in the 1990s, and today, you can hear this bell-tower bells ring on Easter, for instance. The bell-ringing is really worth listening to. 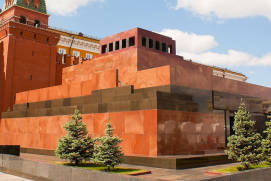 The bell tower is also one of the Kremlin’s museums, displaying pieces of original stone décor and sculptures that once decorated the Kremlin’s palaces. 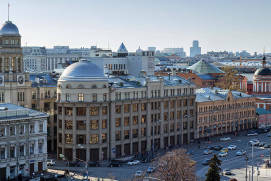 In summertime (from May 15 to September 30): from 10 a.m. to 6 p.m. Ticket office: from 9 a.m. to 5 p.m. 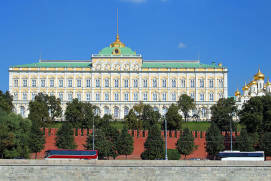 In wintertime (from September 30 to May 15): from 10 a.m. to 5 p.m. Ticket office: from 9.30 a.m. to 4.30 p.m. 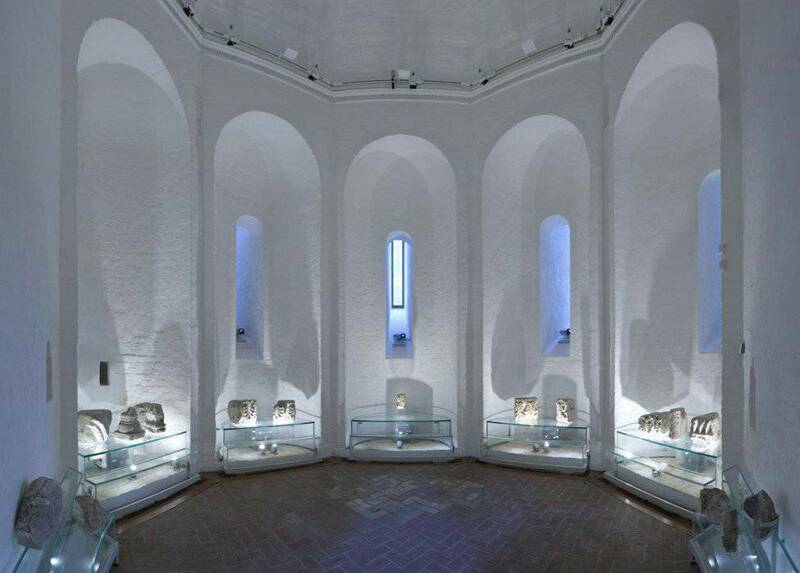 The exposition of the Bell Tower Museum is open according to exhibit sessions at: 10.15 a.m., 11.15 a.m., 1 p.m., 2 p.m., 3 p.m., 4 p.m. Session 5 p.m. is available from May 15 to September 30. Photo and video filming is included in the ticket price (allowed outside the building). 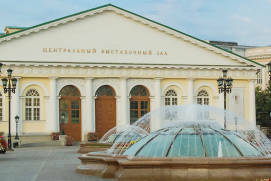 The ticket price includes a visit to the entire architectural ensemble of the Cathedral Square. 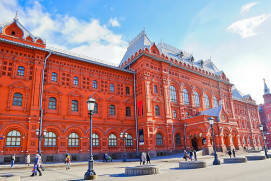 A ticket to the Museum of Moscow Kremlin History of Architecture and the observation gallery of the Bell Tower costs 250 rubles. 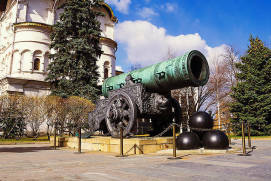 Children under 14 years of age are not allowed to the observation gallery (lifting height-137 steps). Professional photo and video shooting is not allowed. 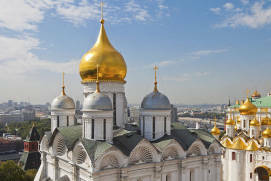 The fact that you can climb to the observation gallery and try to survey the territory of the Kremlin makes the bell tower interesting itself. You can't see well in general, because the view is blocked by neighboring buildings. 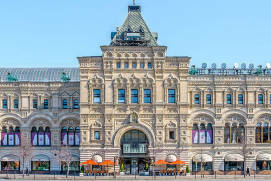 The ticket price is 250 rubles (a single ticket for visiting "Architectural complex of Cathedral Square" unfortunately doesn't work here), you can buy it only at the box office (not through the website) 45 minutes before the next session which is not convenient. 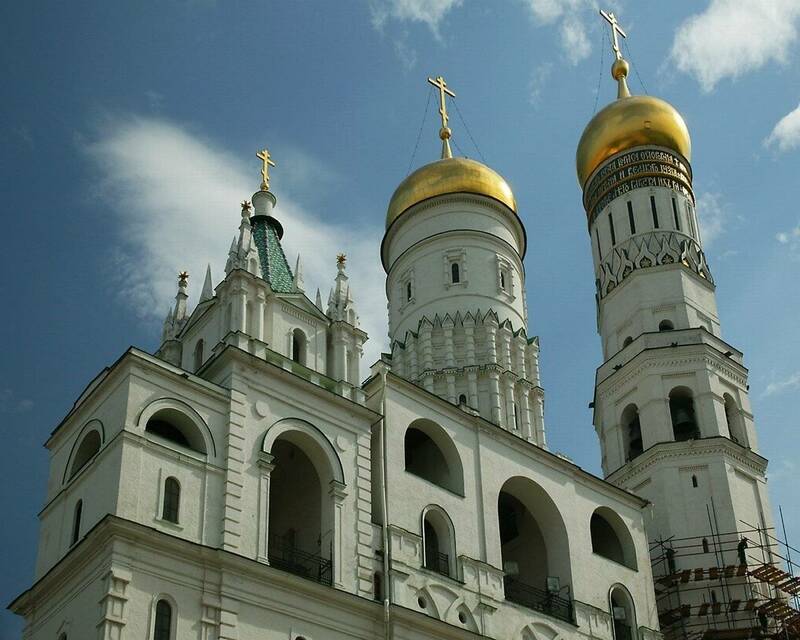 The footfall of the bell tower is limited, people are allowed according to sessions and in small groups. 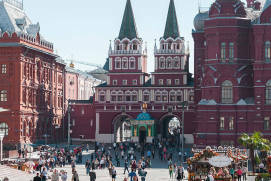 Ticket to Ivan the Great Bell Tower is, perhaps, one of the cheapest way to get to the territory of the Moscow Kremlin. 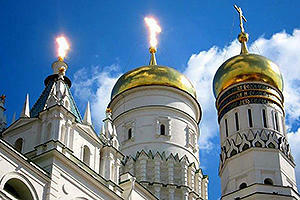 So, of course, you will not get inside the cathedrals, but you can see them from an unusual perspective. Inside the bell tower audio guides are given. 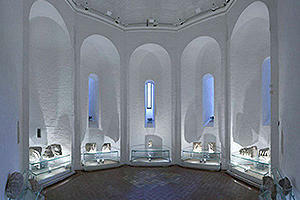 The tour mainly consists of visiting the found elements of ancient buildings. 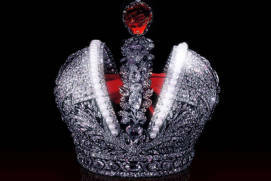 Interesting, but a bit tiring. 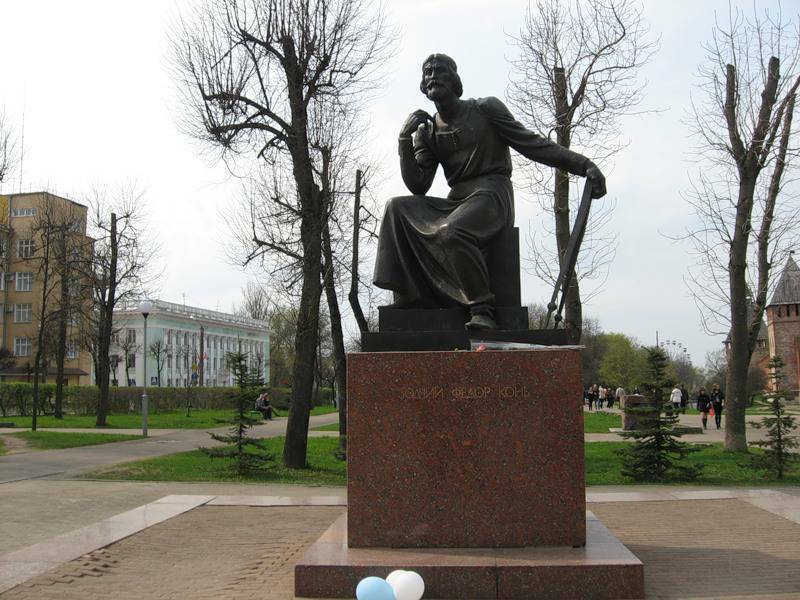 However, you have no regrets that you pay 250 rubles, when you climb to the observation gallery. The view is amazing!